Here's a card design that's sure to get a 2nd look just because its unique. Its a simple Z-Fold card. start with a half-sheet of paper: 5-1/2" x 8-1/2"
Here's a view of the card open. This is a great masculine card, with the nature images and neutral color scheme. And yet its not overtly masculine so this could really work for anyone. Did you notice the middle acorn on my card? I punched the body of that acorn from Stampin'UP! 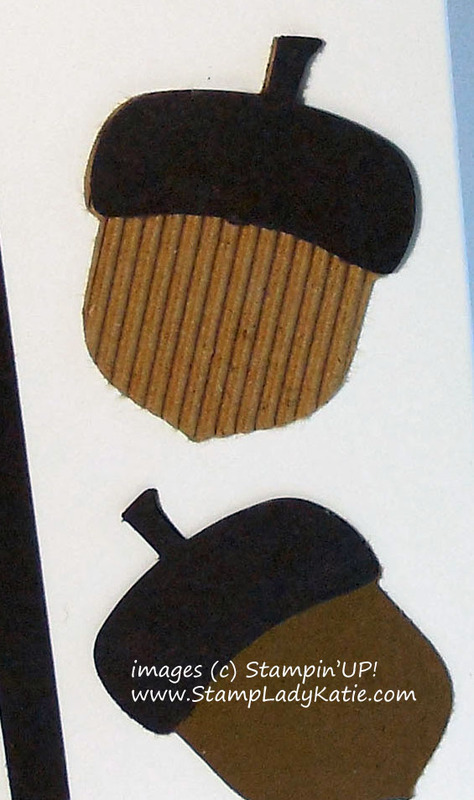 's Corrugated Kraft paper. The corrugations are much smaller than if I'd torn apart a box, those little ridges are perfectly sized for a card project. 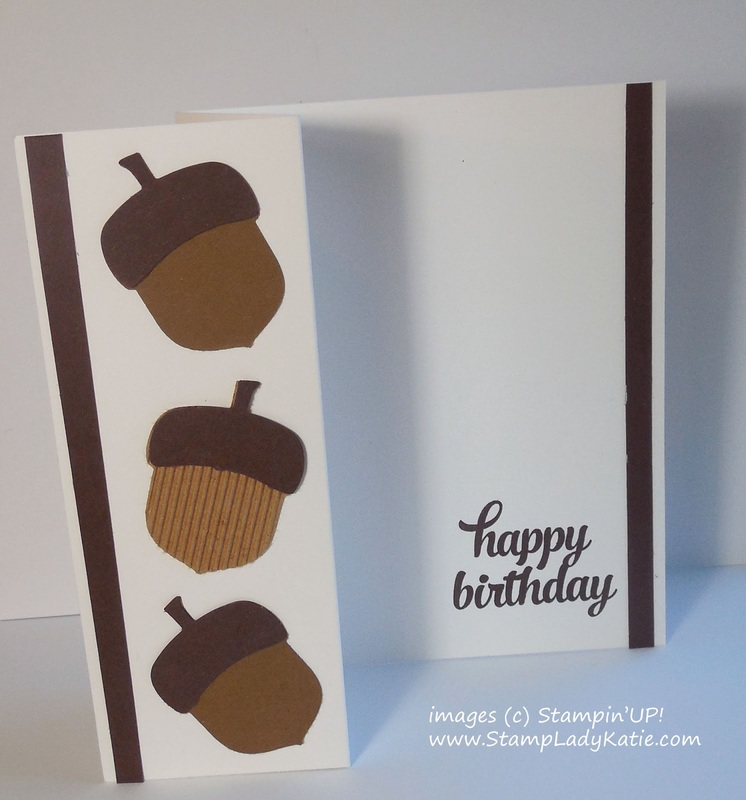 The corrugations are a subtle effect but it gives the project some nice texture for a fall card. What images would you use on the Z-fold?
. . . Hearts? . . . Stars?
. . . Flowers? . . . Snowflakes? Even though we got 4 inches of snow last weekend (we're in southern Wisconsin), its just the middle of November so I still consider this to be fall. That's why I used Acorns on my card. 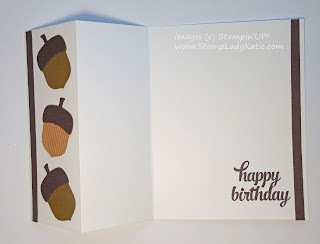 And the Acorns are super easy to make using StampinUp's Acorn Builder Punch. Z-fold Cards are easy: My friend Carole Mundschau made this pretty purple z-fold card. Carole switched it up a bit - she stamped her sentiment on the front flap and made some beautiful crochet flowers for the right hand panel. 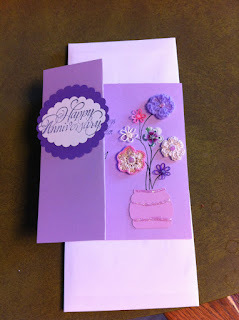 Isn't Carole's card pretty?